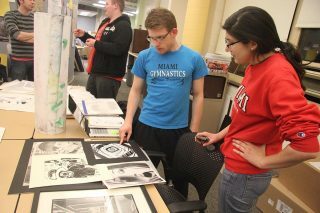 Students who are designated as Communication Design pre-majors (those who have gone through a preliminary departmental review), College of Creative Arts undecided students, other Miami majors or external transfer students submit a communication design portfolio in April of the spring semester. For the majority of the students, this is at the close of their first year. Communication design faculty review these portfolios and then interview potential applicants to the Communication Design program. We accept no more than 22 students a year. Students who are not accepted can reapply the following year. Many of these returning applicants build their portfolios further and are accepted that next year. Because we accept no more than 22 per year, studios maintain a strong student/faculty ratio and we are able to guarantee placement in all required graphic design courses. Waiting a year to evaluate work gives all students a chance to build their portfolios, regardless of the strength of their high school art programs. If a student either does not get into the communication design program or decides to major in something else, art courses are taken freshmen year can be applied toward another major, either as electives or required courses depending on the major. Some schools handle the need to limit studio size differently. They accept students directly into graphic design programs but then cull extra students out through excessively rigorous coursework their freshmen year. We don’t agree with this philosophy. Students who don’t make it through the first year at such schools end up with wasted course credits, poor GPAs, and low spirits. 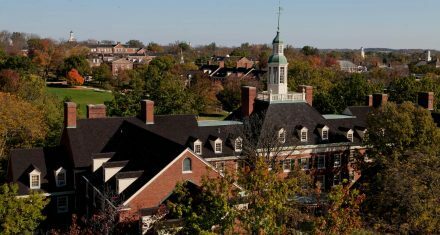 Visit the Communication Design Program Page on the Miami University website for requirements. The portfolio review is a two-stage process consisting of a first-round screening review and the second round of personal interviews. Students will submit their portfolios, including work from Foundations art courses and ART151 (see a list of required work) other artwork, and a current Degree Audit Report (DAR). Portfolios must be submitted digitally as a Behance website. A link to the site must be provided and a PDF of the applicant’s DAR uploaded via the online portfolio submission page. Portfolios and materials must be submitted before 11:59 p.m. Eastern on Sunday, March 24. No late submissions will be accepted. The Portfolio Review is an online submission and closed screening. All applicants will be emailed no later than 5:00 p.m. Eastern on Tuesday, April 2, 2019. Applicants who are selected to continue will be sent a Google doc sign-up sheet to participate in the Interviews with Communication Design Faculty on Friday, April 5, 2019. The 15-minute personal Interviews will take place in Hiestand Hall (room to be decided) during specific time slots indicated on the sign-up sheet mentioned above. This phase of the process can stretch over two or three days. Notification of acceptance status will be by email from the Communication Design faculty no more than a week after interviews are completed. 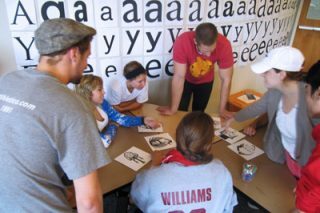 Current communication design pre-majors accepted into the program will attain full status as BFA Communication Design majors. Current BFA studio majors or Art Education majors accepted into the program will have their status changed to BFA in Communication Design. Students classified as College of Creative Arts Undecided, non-major Miami students, and external transfer students who are accepted into the program will be reclassified as BFA in Communication Design and will not be required to participate in the Department of Art’s BFA Transfer Portfolio review. The faculty in Communication Design will provide applicants who are not accepted with a PDF of the portfolio and/or interview evaluation scores and feedback. 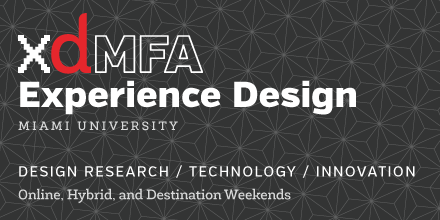 Current Pre-Communication Design majors not accepted into the program will be reclassified as BFA Studio Majors for advising purposes. The faculty in Communication Design may make recommendations to the Department of Art’s Undergraduate Admissions Coordinator on behalf of College of Creative Arts Undecided students, non-major Miami students, and external transfer students not accepted into the Communication Design program to be granted BFA Studio degree status. College of Creative Arts Undecided students, non-major Miami students, and external transfer students not accepted into the Communication Design program and not granted BFA studio status may obtain BFA studio status by participating in the BFA Transfer Portfolio in the next academic year. For students not accepted for admission to the Communication Design program, it is recommended students repeat ART151 and meet with a design faculty member. Questions about the Application Process should be directed to the ART151 instructor.